Safety is key and our Reform tractor allows us to perform tasks without getting out of the cab. 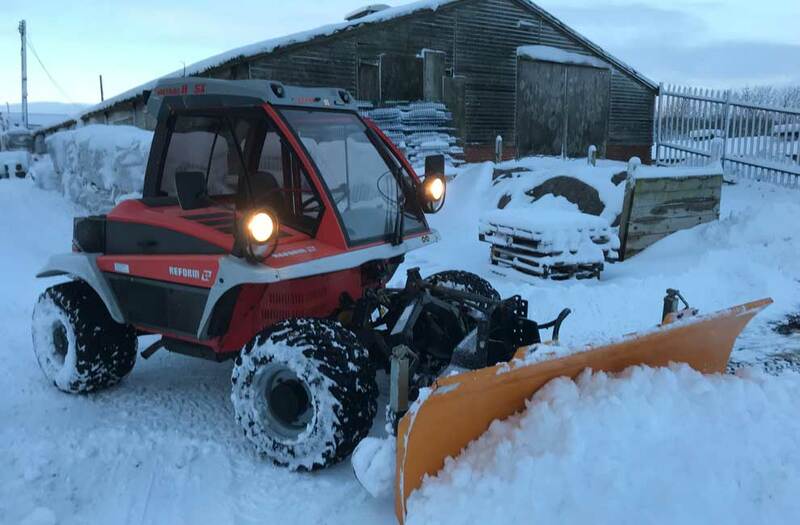 It is 4-wheel drive, 4-wheel steer and is designed to work on slopes up to 38°. 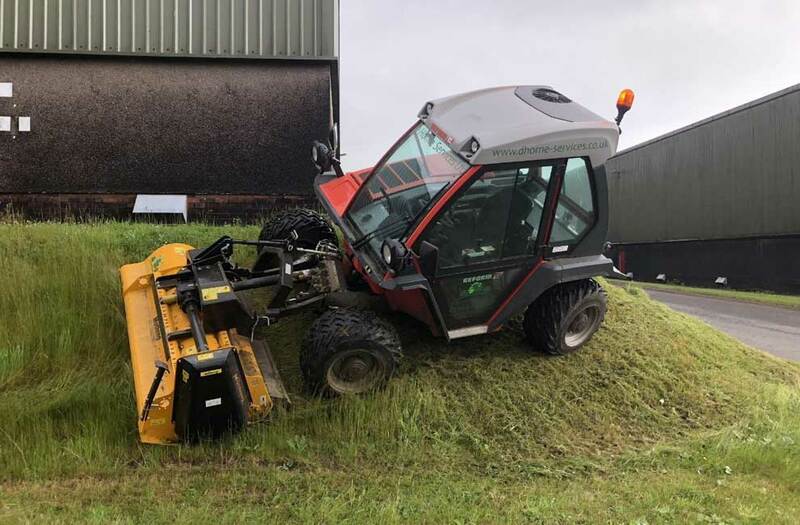 It is highly manoeuvrable and has low ground pressure so is able to go where lightweight machines are required. 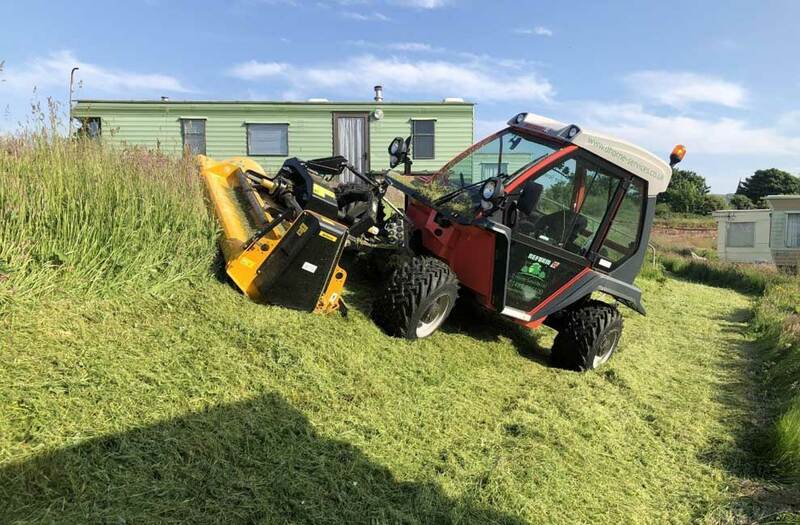 It is fitted with a 2m Muthing flail deck attachment to the front, allowing us to cut quickly and effectively. 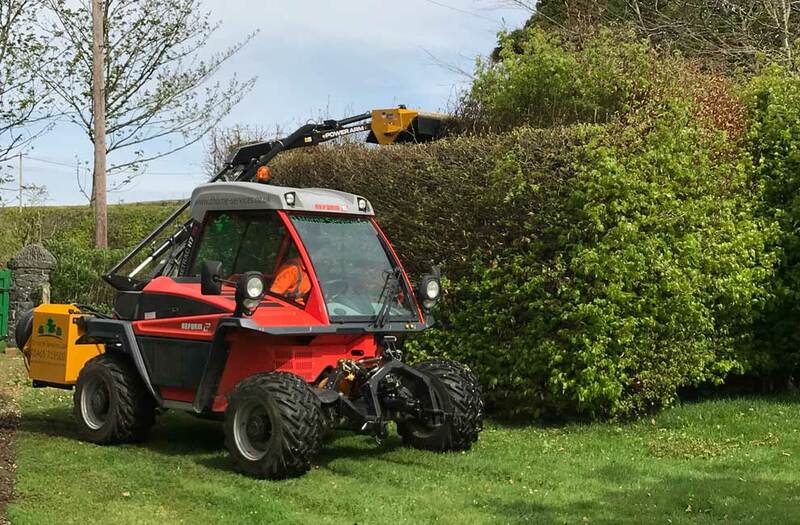 Various attachments can be added including our McConnell power arm and flail deck for the rear for hedge and verge cutting. The Metrac H7 RX comes in a modern and innovative design. The interior has a modern design and scores points with technical highlights such as the tilt and height-adjustable steering column, generous storage areas, and a central colour display with on-board computer. The powerful engine with 70 hp and emission level 3B takes the driver to any destination efficiently and with low impact on the environment. With 250 Nm, the high torque delivers excellent engine output with power to spare in any situation right from 1,000 rpm and across a wide range of speed.